The Savior Spring Clamp Mini is a handy little quick mounting clamp with a forceful bite. It features the same unique jaws that the Savior Clamp family is known for, which adjust to ensure consistent pressure on oddly shaped objects. 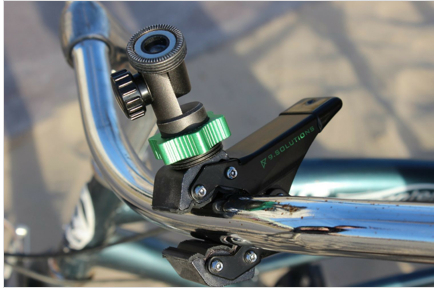 It features 1/4″ and 3/8″ attachment points on both jaws which allows for dual mounting on a single clamp. All 9.Solutions Savior Clamps feature an anodized aluminum surface for added durability and longevity.